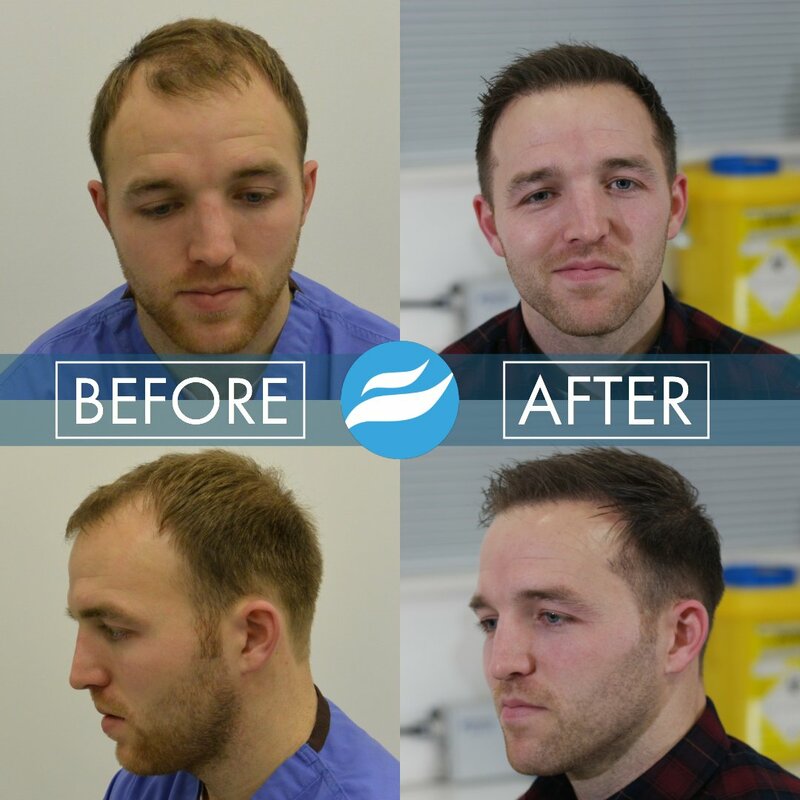 At The Hair, Skin & Wellness Clinic we specialise in hair restoration for both men & women using the latest technology within our state-of-the-art clinic. 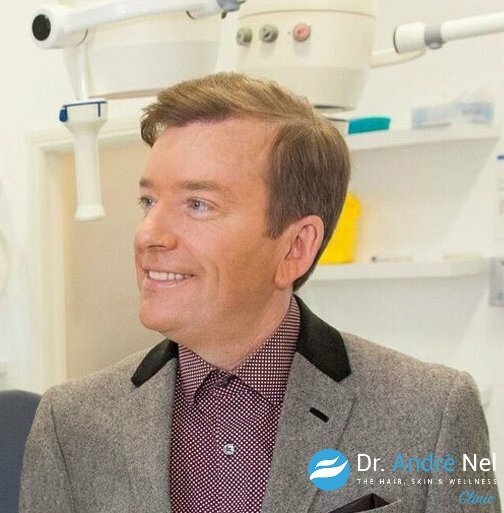 Dr. Andre Nel is a leading hair transplant surgeon specialising in FUE and FUT hair transplant surgery procedures. 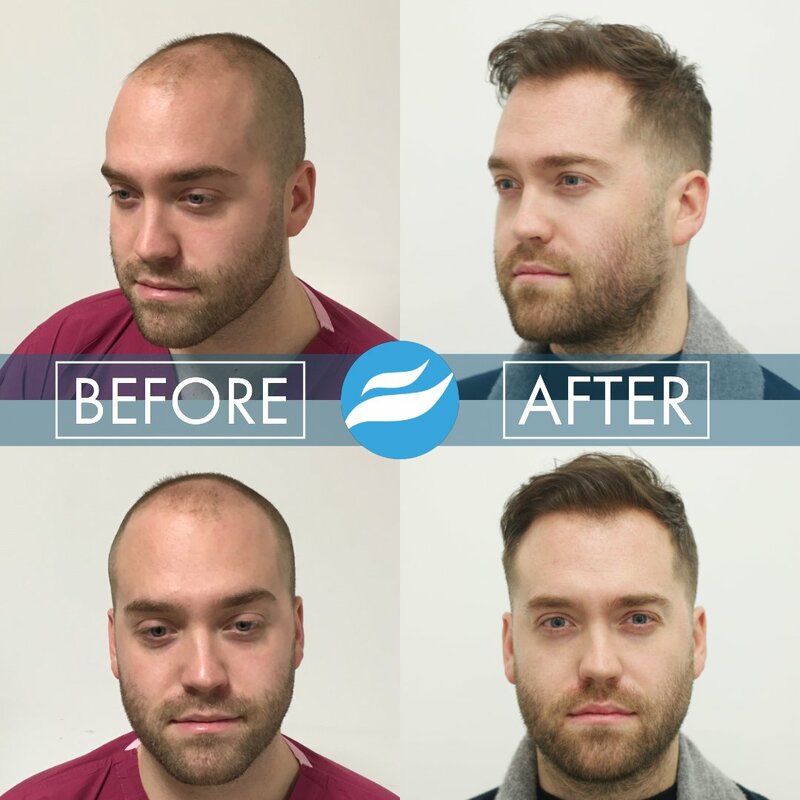 We will identify the cause of your hair loss and offer you the best possible medical, mesotherapy and surgical solutions available in order to restore your hair to its full potential. 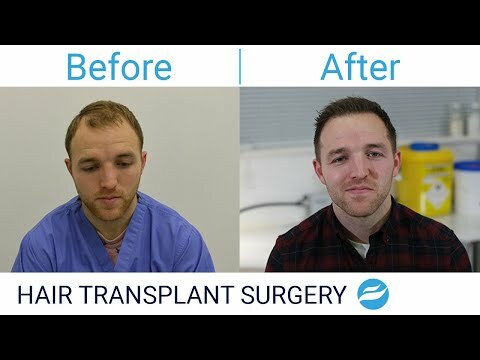 Follicle Unit Excision (formerly Follicle Unit Extraction) is a hair transplant technique involving a minimally invasive procedure to harvest hair follicles from the safe donor area at the back and sides of the scalp and transplant those follicles into areas where hair loss has occurred. 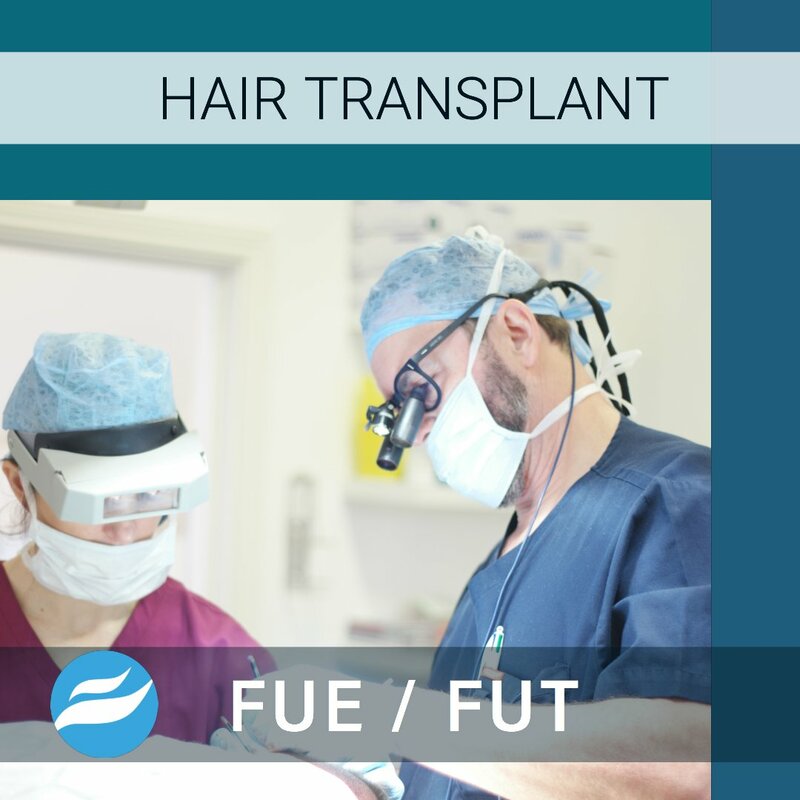 This surgical procedure is done by using a specialised punch to harvest the hair follicles from the donor area. 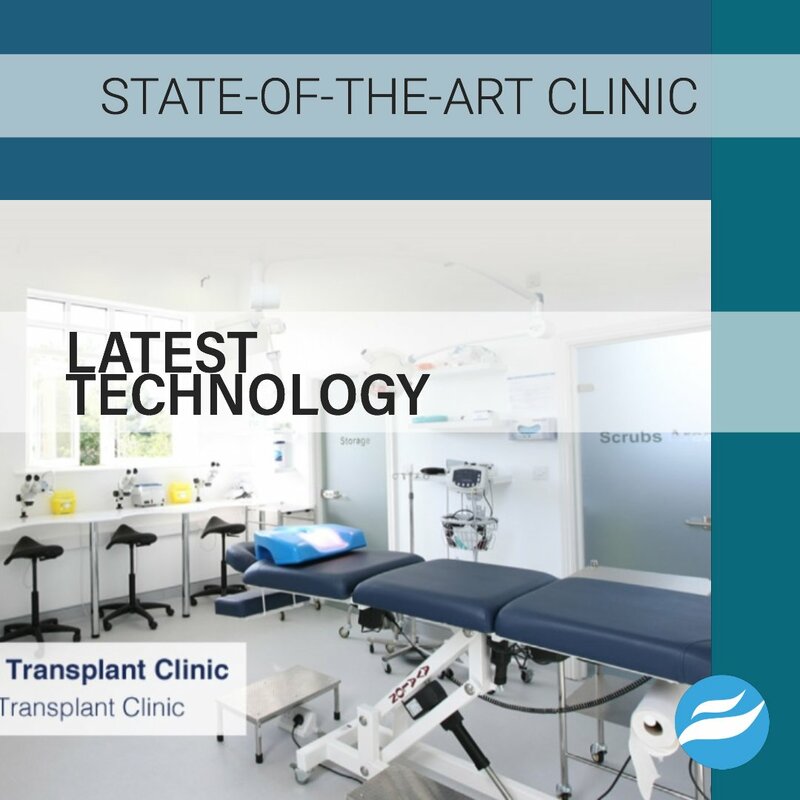 The grafts are sorted and stored temporarily in organ storage solution and normal saline at cooler temperatures, then processed before transplanted into the recipient areas with hair loss. 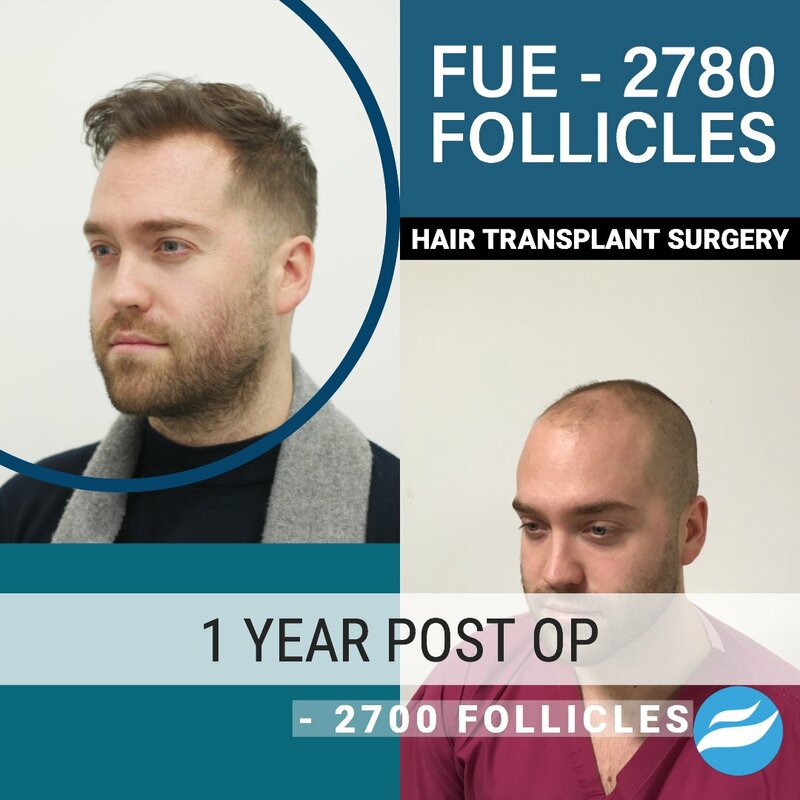 FUT (Follicle Unit Transplant) surgery, also known as FUS/T (Follicle Unit Strip Transplant) is a procedure used to harvest a strip of hair follicles from the donor area at the back and sides of the head, allowing for sufficient hair follicles to be transplanted into the recipient area. 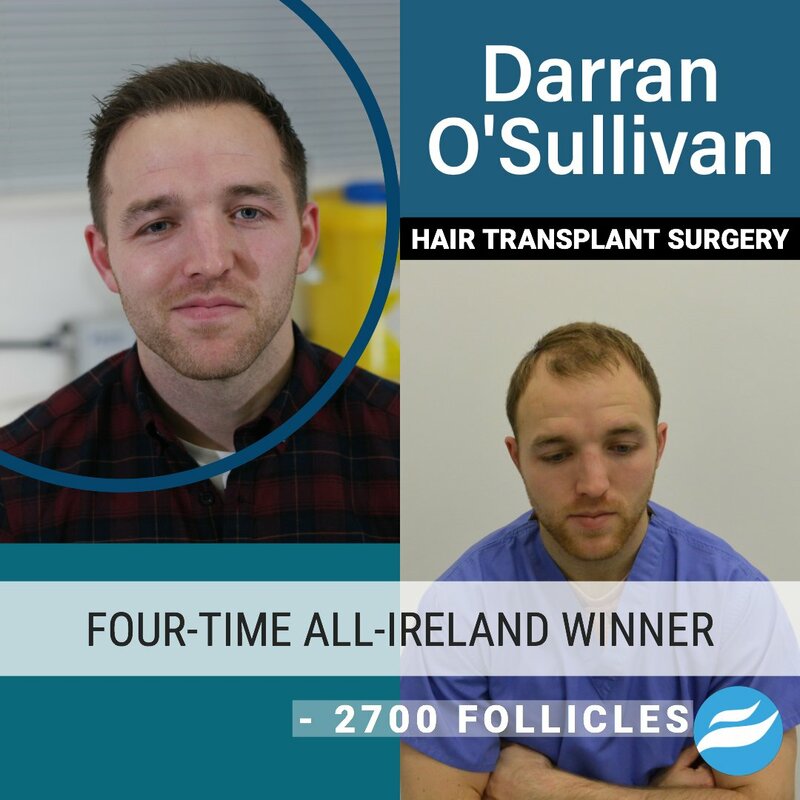 We charge €4.00 per follicle, not per hair. Follicles can contain between 1 – 4 hairs depending on the recipient donor area. 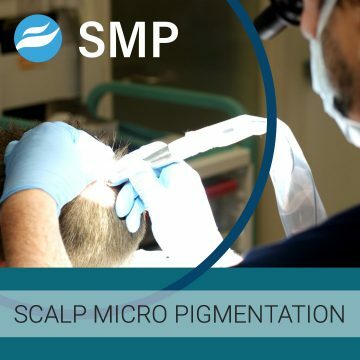 SMP is a form of Tricho – pigmentation which promotes the appearance of density by reducing the reflection of light from the scalp, thereby creating the look of a healthier and denser head of hair. PRP involves the application / injection of plasma that has about 5 times the amount of platelets when compared to circulating blood. The platelets secrete numerous growth factors which have positive effects such as speeding up the growth rate of grafts. PRP is also injected into the skin surrounding the hair follicles on-top of the scalp that is undergoing miniaturization due to Androgenic Alopecia. 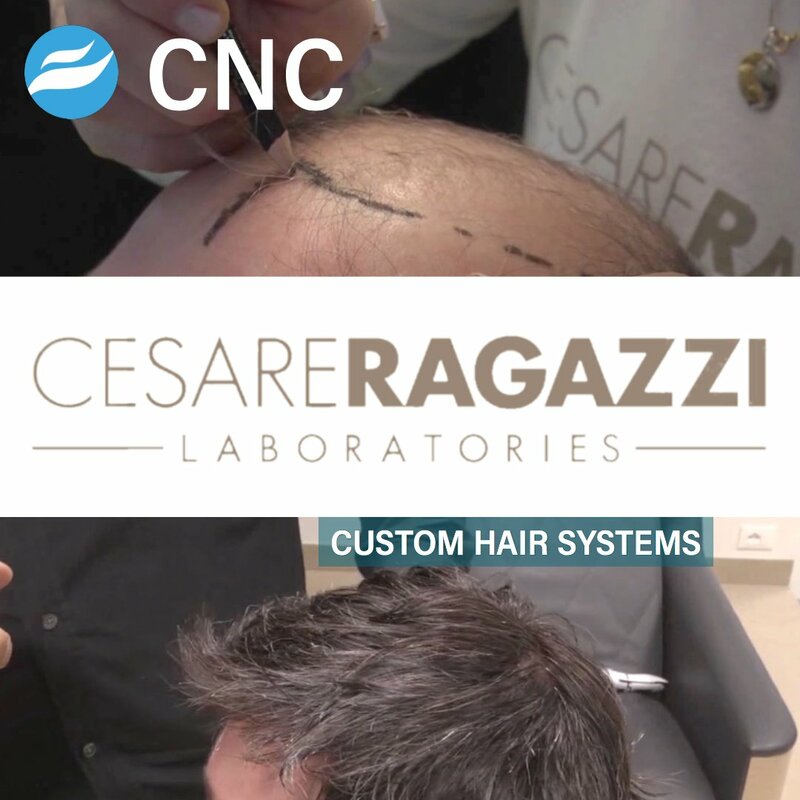 CNC is a hair replacement system incorporating a medical grade prosthesis that covers the area on the scalp where hair loss has occurred. CNC offers a replacement for natural looking hair and is the result of years of research and development. 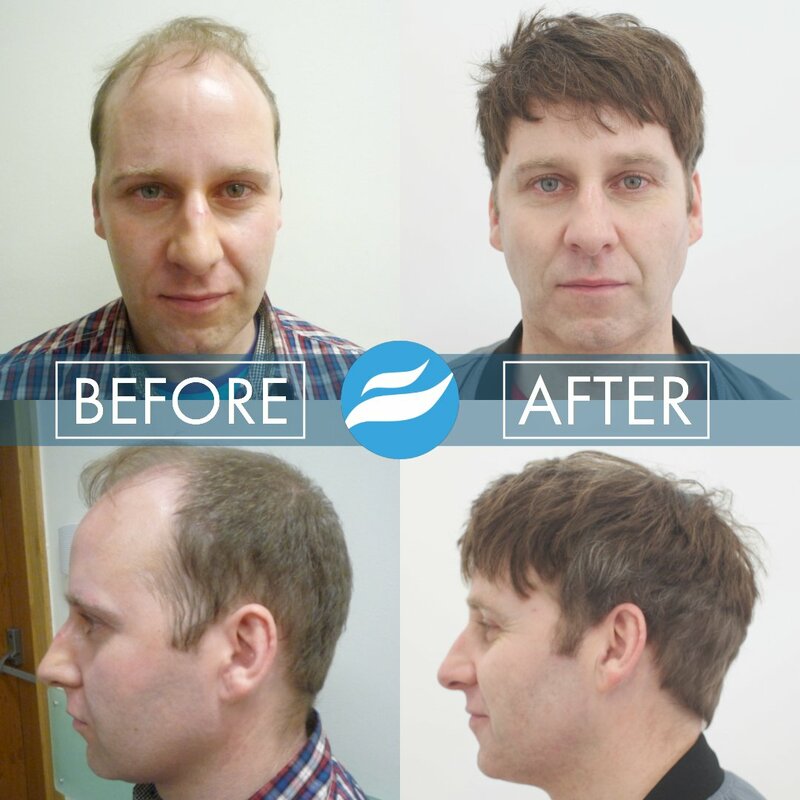 CNC is considered the most effective non-surgical hair restoration solution. 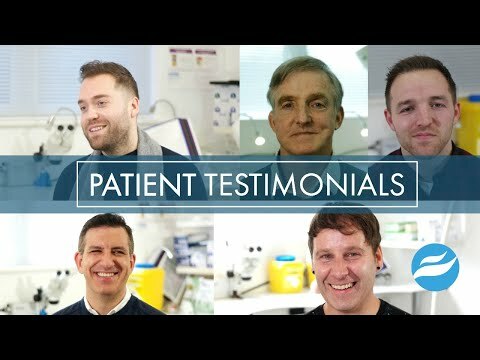 "I have to say the whole experience of looking into trichology from beginning to end was the most pleasant experience I could have imagined mainly due to your continued communication and understanding. I would recommend this procedure to anyone I meet who needs your help. I have already passed your details on to 3 people and when I say passed on they insisted I wrote it down for them. I want to thank all involved - Maria, her sister and of course Dr Andre Nel." 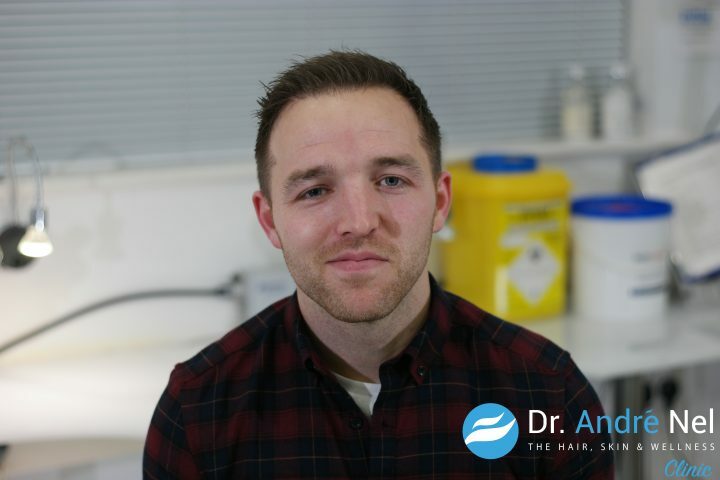 "I had the treatment done last year because I was unhappy with my appearance and when I met with Dr Nel I was impressed with his honesty and the fact I felt cost was reasonable by comparison with quote received from another clinic in Blackrock. The best part of the experience was the treatment I received during the procedure over 2.5 days, it could not have been better in any way. I was made to feel at ease and consulted with at all times. Dr Nel and his team were extremely friendly. 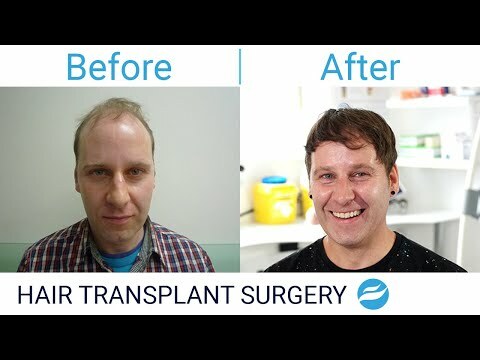 If you are thinking about a transplant go and have a consultation with a doctor who specialises in this area and not a sales person and also try to speak with some people who have actually had a procedure. I would highly recommend Dr Nel for this procedure to anyone." "Just a quick note to say thank you for the great service I received recently during my Hair Restoration treatment. 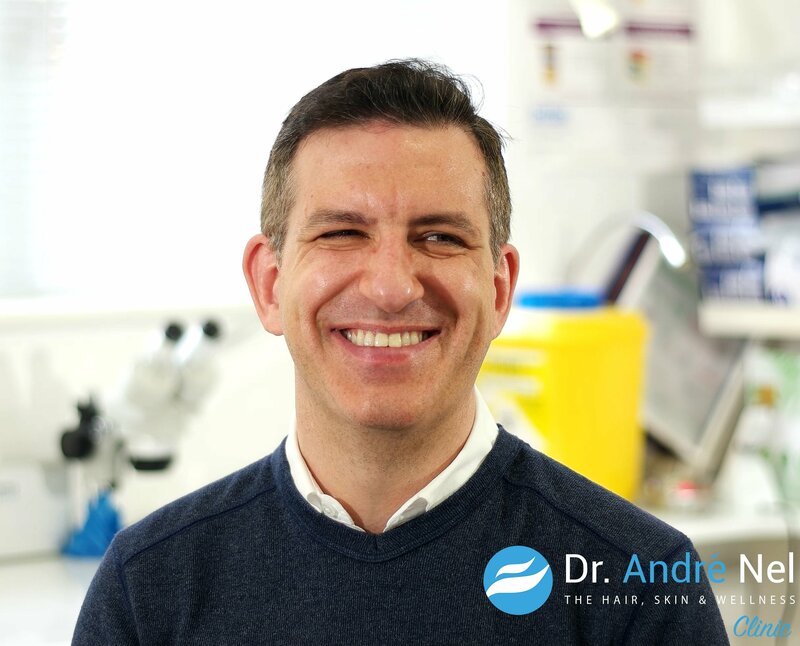 Dr. Andre listened to my needs and developed a simple plan that we could work together on. When the treatment was completed the recovery period went smoothly. It was as if I had just got a number 1 hair cut. 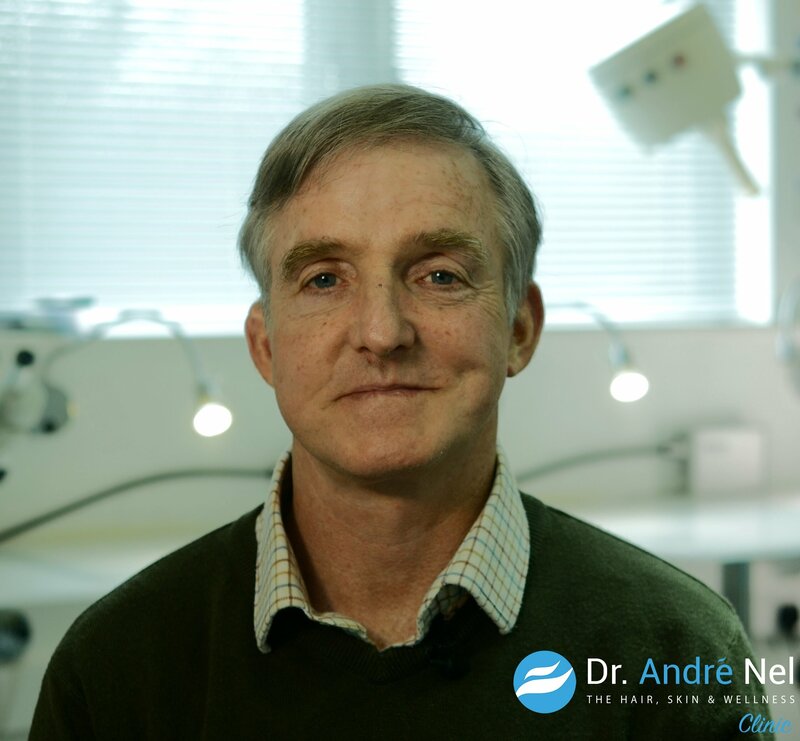 All through the operation I felt no pain and everything was treated with precision in the safe hands of Dr. Andre. As an added bonus I even got drove home after the procedure." "Dear Dr Nel, I am so glad I came to you for my male pattern baldness problem. To be honest, this bothered me for many years, ever since I first noticed my hair falling out. At one stage I almost resigned myself to accept my fate, but then I became aware of hair restoration as an option via the internet. Somehow I never really thought of it as a viable option until I met you. The penny dropped during my first consultation with you when I realized hair restoration was for real. 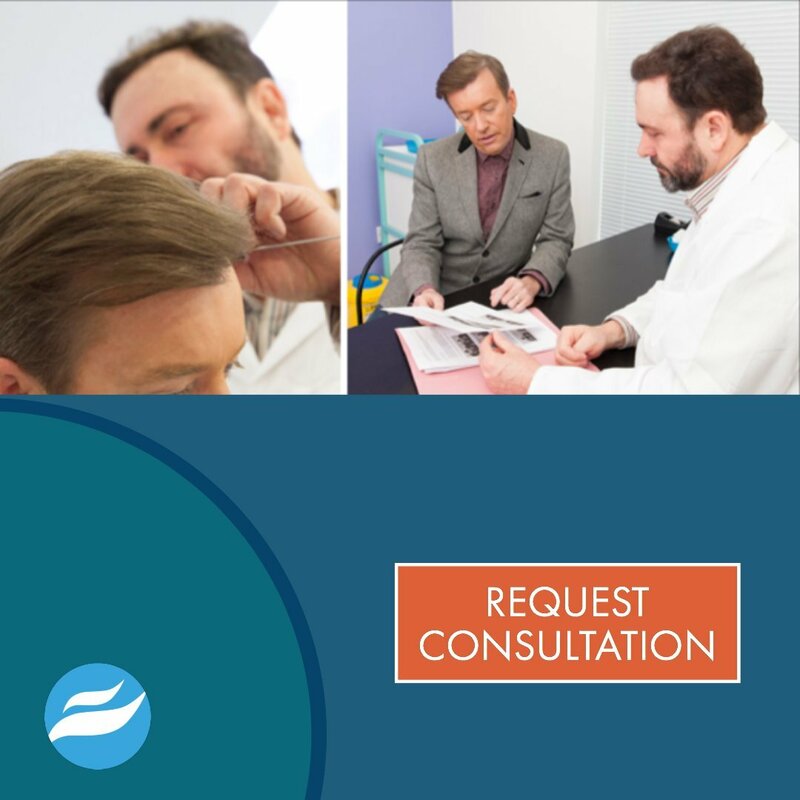 Your systematic and pragmatic approach in addressing my hair loss problem instilled confidence and belief in the process. Restoring my hair has given me a quiet sense of confidence and great satisfaction. It has been one of the best decisions of my life. Thanks for doing such a fine job and for your professionalism." 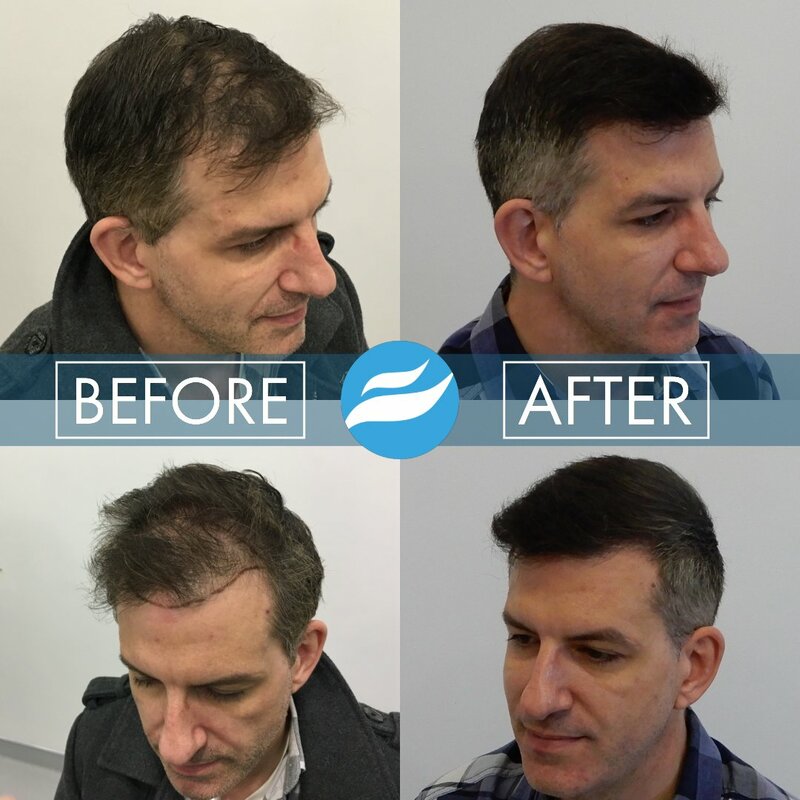 "I can highly recommend Dr. Nel and his amazing team for hair restoration. 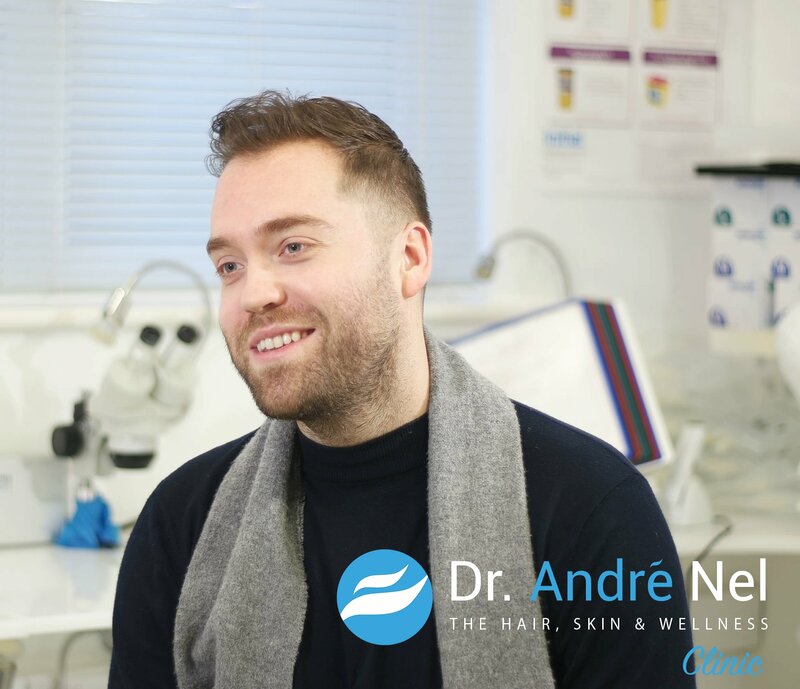 With Dr. Nel you will receive a straight talking, no nonsense and clear explanation of the process and the science behind it, the knowledge of essential minimal cost supplements to be taken, vital to long term results. (Other clinics don't tell you this) It's a no pressure sales approach and you will see lots of relative photo and synopsis examples showing before and after results. The hospitality and constant care during and after the procedure was simply 5 star treatment, you will be in safe hands. 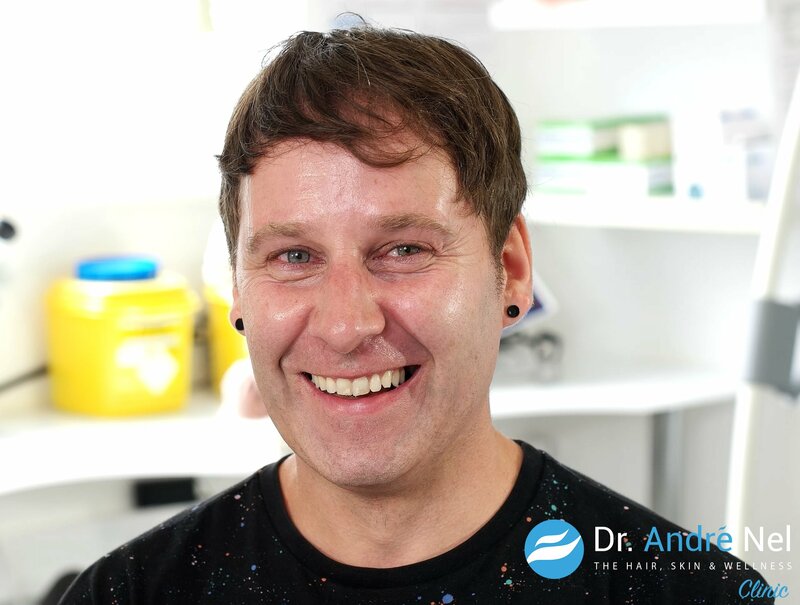 The after op care was also fantastic, Dr Andre commits to you as a life-long client and equally wants the results you desire. I'm proud to say that my results have been life transforming in terms of my look and surprisingly my confidence has been boosted too, this is the best investment I've ever made." 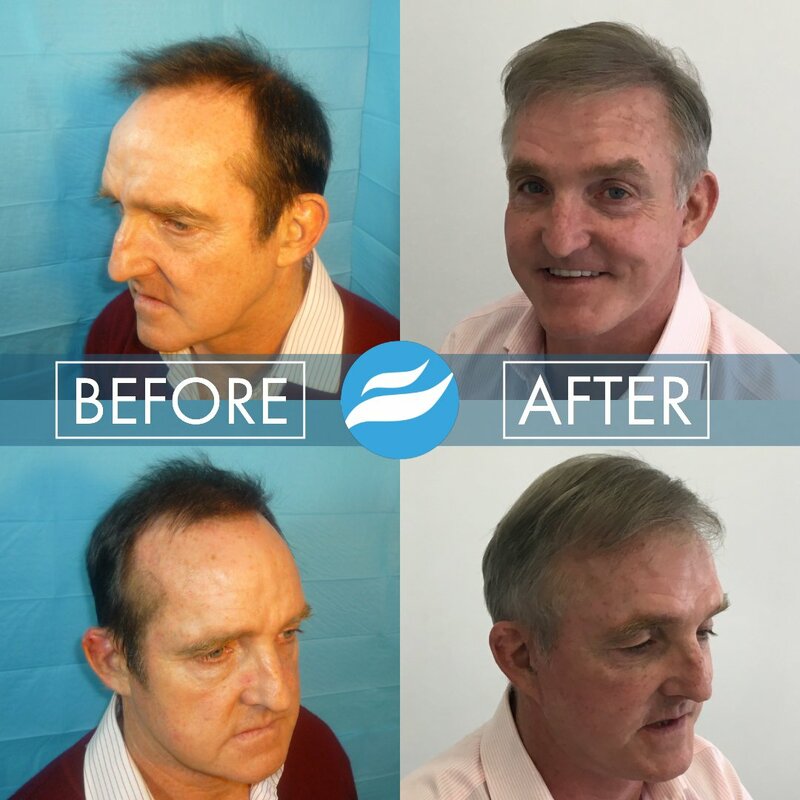 "Dr Nel not only restored my hairline and my confidence, he reversed and repaired my previous surgery that was botched by another surgeon. 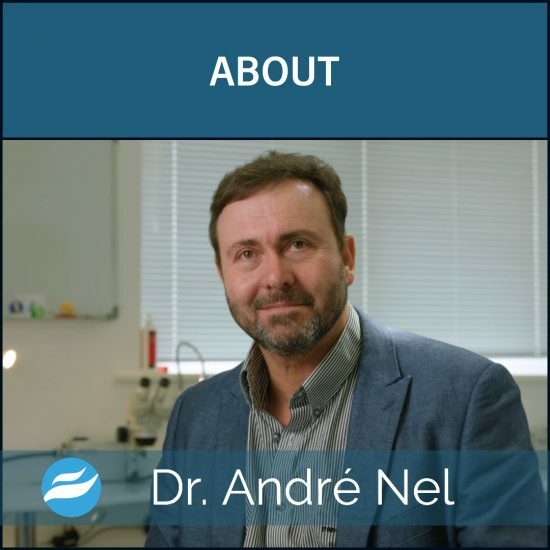 Dr Nel is honest and very professional. He answered every question I had before the surgery, went through various option with me, established a plan and over delivered on the day. In a world where so many are in it for the money, I was lucky to find Dr André. A surgeon with true skill and a man who keeps his promises. I can't thank him enough!" "Just a quick note to say thank you for the great service I received recently during my Hair Restoration treatment. Dr. Nel listened to my needs and developed a simple plan that we could work together on. When the treatment was completed the recovery period went smoothly. It was as if I had just got a number 1 hair cut. All through the operation I felt no pain and everything was treated with precision in the safe hands of Dr. Nel. As an added bonus I even got drove home after the procedure." 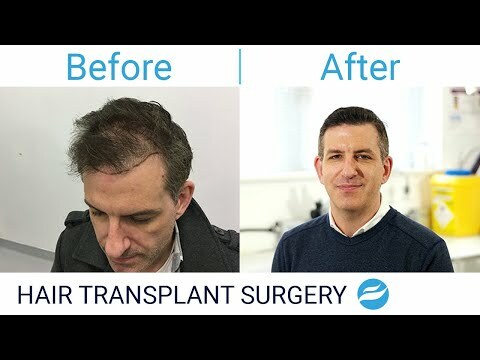 Nowadays people who are experiencing hair thinning or a progressive loss of hair, are looking for a hair loss cure and finding a solution for hair loss and promoting hair regrowth. One of the most the important aspects about hair loss is finding out why it happens to you. What causes the hair follicles to miniaturize, resulting in loss of hair shaft calibre and hair volume and ultimately causing baldness. Find out what causes hair loss in men and hair loss in women and how to address balding. Androgenetic Alopecia, in laymen’s terms is called Male Pattern Baldness or hair loss. This is the most common type of hair loss in men. This process is mediated by the Genetic Code. This is a tendency that we inherit from our parents, from both sides and from multiple generations back. It’s poly-genetic and a complex pattern of inheritance, so you can’t say it comes from your dad’s side or mom’s side exclusively. As people age, it is normal to experience a certain amount of shedding and thinning of the hair shaft caliber and hair volume in general. However, in the case of Androgenetic Alopecia this shedding and loss of hair shaft caliber will be a lot more pronounced. Before looking for hair loss therapy find out what stage you are? The cumulative effect of an increase or decrease in hair shaft calibre (hair mass index) is enormous and makes the difference between hair with volume that provides good scalp cover versus hair with poor volume (low calibre hair shafts) that does not adequately cover the scalp allowing the reflection of light to be seen from the scalp creating the appearance of thinning hair cover or balding areas. There are three types of hair follicles: Terminal Hairs, Miniaturized Hairs, Vellus Hairs. 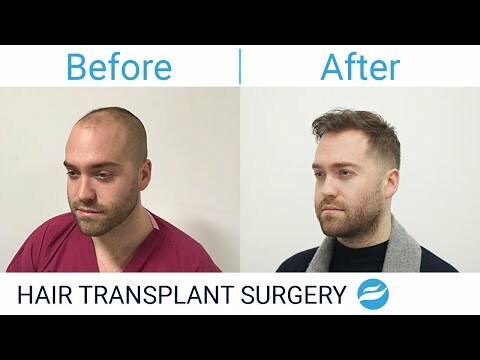 A hair transplant involves the transplantation of hair follicles from a donor area on the patient’s scalp, to the area where hair loss has occurred (recipient area). 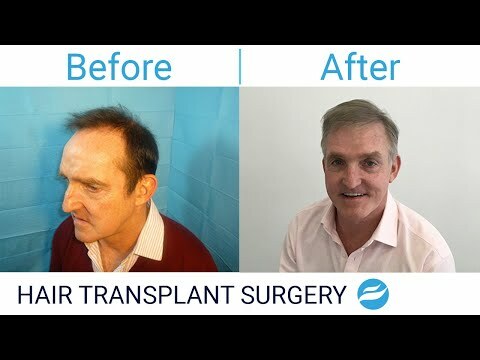 Thus, there needs to be a sufficient supply of healthy Terminal hairs to be transplanted to help create the appearance of a fuller head of hair. Having trained in the fundamentals of Hair Restoration with Dr. Bijan Feriduni (Hasselt, Belgium) and Dr. Mark DiStefano (Boston, USA) Dr. Andre Nel also received advanced training in the finer nuances of FUE technique via the FUE Palooza in Denver, Colorado.